The Start/Finish area and Expo are located on the Great National Assembly Square (Piața Marii Adunări Naționale, PMAN), in front of the Arc de Triomphe. 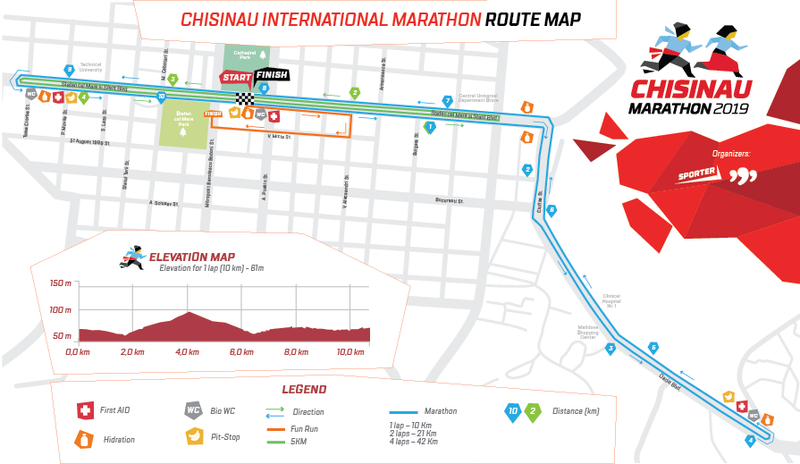 After the start of the race athletes will run along Stefan cel Mare Boulevard, Ciuflea Street, Dacia Boulevard, to the intersection with Rose Street, then back along Dacia Boulevard, Ciuflea Street, Stefan cel Mare Boulevard, to the Great National Assembly Square, then continue along Stefan cel Mare Boulevard, to the intersection with Toma Ciorba Street and then back along Stefan cel Mare Boulevard, to the Great National Assembly Square. The total length of the course is 10,5 km ( 4 laps for marathon runners and 2 laps for half marathon runners). – Fun Run by Iute Credit (1,5 km): Start (the Great National Assembly Square) — Vasile Alecsandri str. — Veronica Micle str. — Banulescu Bodoni str.— Finish (opposite Stefan cel Mare monument). 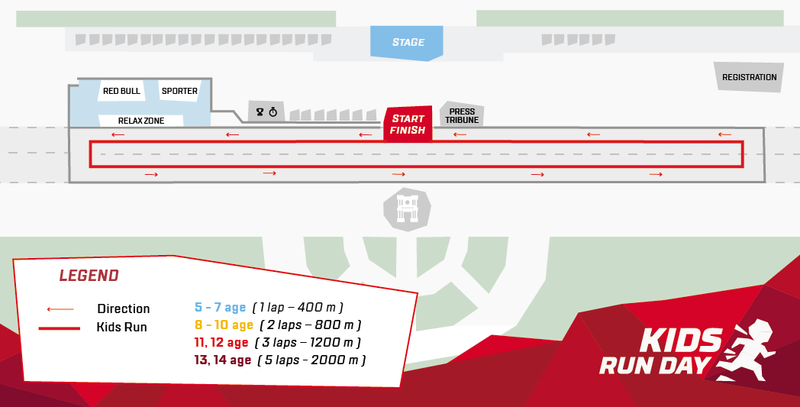 – 5 km race: Start (the Great National Assembly Square) — turn at the intersection of Stefan cel Mare bvd. with Ismail str. — Stefan cel Mare bvd. — turn at the intersection of Stefan cel Mare bvd. with Toma Ciorba str. — Stefan cel Mare bvd. — Finish (the Great National Assembly Square). – Marathon (42,195 km): the Great National Assembly Square – Stefan cel Mare Boulevard – Ciuflea Street – Dacia Boulevard ( up to Rose Street) – Dacia Boulevard – Ciuflea Street – Stefan cel Mare Boulevard (up to Toma Ciorba Street) – Stefan cel Mare Boulevard – the Great National Assembly Square (4 laps x 10,5 km).